I don't know what kind of basketball player Elijah was, but he certainly was an all-star smack talker. General Conference is now just over two and a half weeks away. Are you ready? 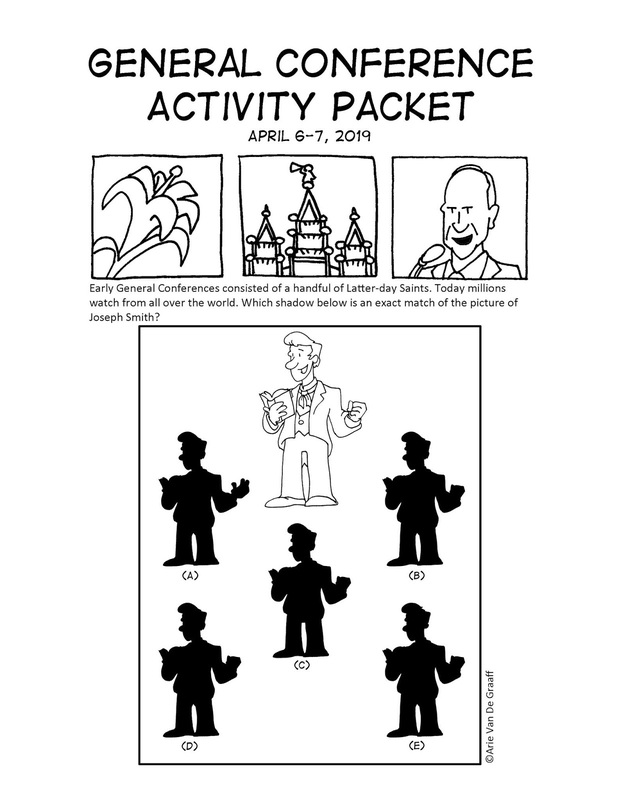 Start now by downloading the Spring 2019 General Conference Activity Packet. Also available in Spanish (translated by the talented Gabbi Herrera), Portuguese (translated by the talented Dani Queiroz de Souza), and French (translated by the talented Sara Mayer). If you haven't yet subscribed to my weekly newsletter, you might want to consider to do so now. 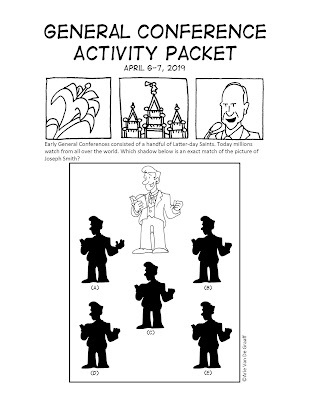 This year, the Ward Cartoonist Activity Page Newsletter is providing a weekly puzzle that corresponds to the Come, Follow Me curriculum. 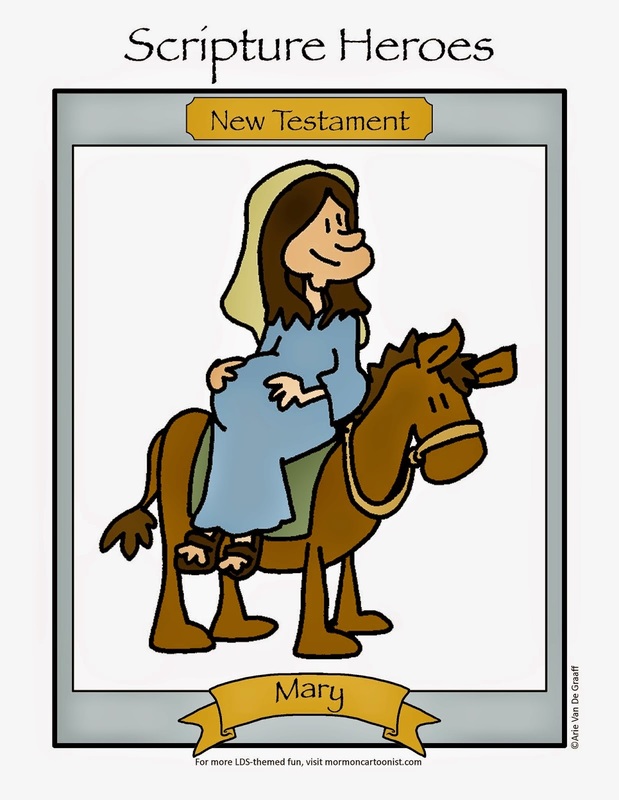 The Ward Cartoonist Newsletter provides subscribers with a free activity page every Friday morning delivered to your inbox to download for sacrament meetings, Family Home Evenings, primary lessons, or General Conference. Did I mention that it's free? Sign up for it here. 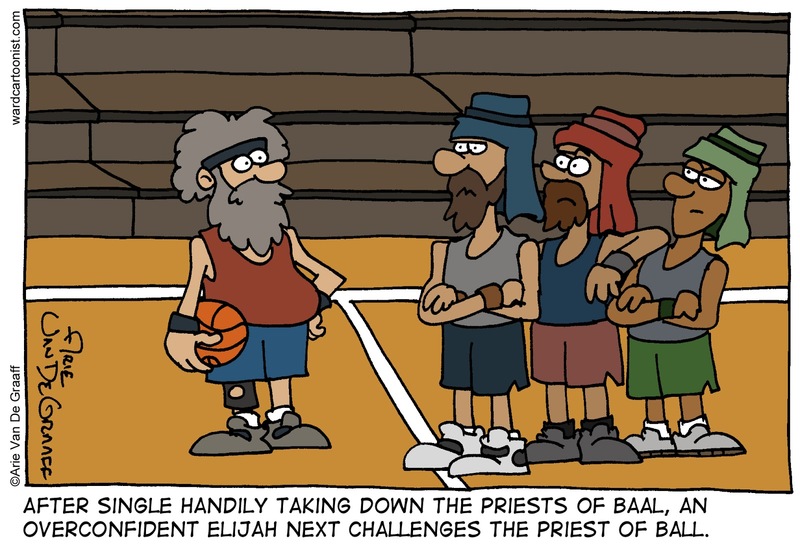 I don’t know about that, but I wouldn LOVE to see a court full of super old dudes with gnarly beards like that. How often do you get to see those kinds of beards at church? Thank you so much for your work on these packets every year! My kids love them and I even print them for my nieces and nephews. Such a great resource!